Hirsch Pediatrics is proud to offer in-network mental health care from our team of dedicated therapists. The goal of our “Healthy Minds” program is to recognize and address mental health needs as early as possible when the symptoms can be more easily managed and not lead to long-term emotional or behavioral issues. 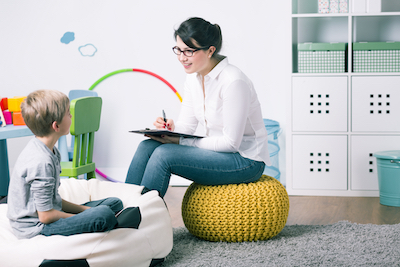 To make our therapists as accessible as possible to your family, all therapy appointments at Hirsch Pediatrics are in-network with most insurances. 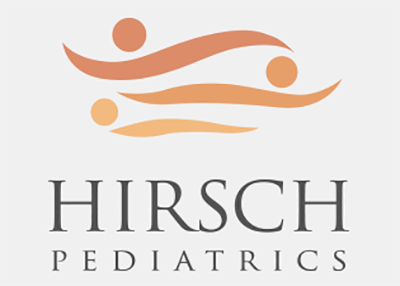 Therapy appointments at Hirsch Pediatrics are only available to current patients of Hirsch Pediatrics. The most common reasons for scheduling a therapy appointment include trouble regulating emotions and very difficult home and/or school behaviors. Please contact Dr. Hirsch directly if you have any ongoing school or behavior concerns or if you think your child may benefit from an initial consultation appointment. Additional questions about the appointment? Our Hirsch Pediatrics New Patient Therapy Consent Form contains a lot of helpful information including what to expect before and after the therapy appointment. 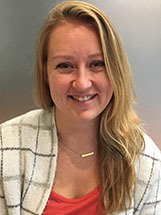 Holly English, LCSW-C joined the Hirsch Pediatrics team in October 2018. Holly comes to our practice after multiple years working with children and families primarily around crisis intervention. Holly is a life-long resident of Montgomery County and enjoys reading, traveling, and power-lifting. For parents of children with ongoing difficult emotional and behavioral concerns, in addition to setting up a consultation appointment with one of our therapists, Dr. Hirsch strongly recommends attending one or more of Dr. Dan Shapiro’s interactive workshops. Dr. Shapiro is a highly sought after local expert in Developmental-Behavioral Pediatrics and the creator of the ParentChild Journey. Dr. Shapiro offers a wide range of evening parenting workshops with his team of experts. The workshops cover a variety of topics and are presented throughout the year in various locations. Payment is optional with a suggested contribution of only $20 – $30 per session. Can’t attend a workshop but want to learn more? Dr. Shapiro’s website has all of his course and presentation information online in an extensive resource section.